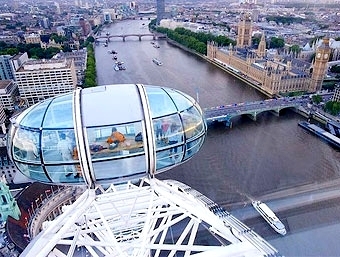 The London Eye was erected on the South Bank of the Thames to mark the new Millennium. One of the design criterions was that it had to be accessible by everybody. This includes the disabled. In order to enable people in wheelchairs to enjoy a ride, access is made by means of loading ramps. The positions of the loading ramps need to be accurately measured. 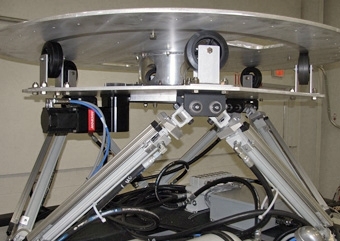 Novotechnik’s LWG transducers are fixed to the loading ramps and measure their positions. This information is one of the inputs to a closed loop servo system that adjusts the ramp position in order to compensate for expansion and contraction of the wheel. As the wheel is 135 meters in diameter and fabricated from steel the movement is quite significant. 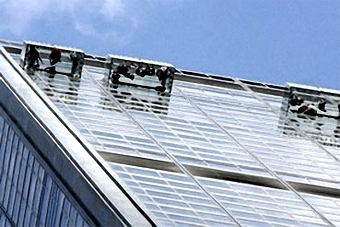 The Ledge at Chicago’s Willis Tower (formerly Sears Tower) is a viewing platform made up of four separate “cubes” of glass where visitors can stand beyond the outside edge of Willis Tower and look out or straight down to Wacker Drive and the Chicago River. These cubes move in and out for cleaning and maintenance. At the heart of the control system are four Novotechnik TLM Series position sensors– one 11 foot sensor for each cube that output 4 to 20 mA signals. A major motion simulation company makes motion simulation platforms that are used for for entertainment rides, flight simulators and other vehicle simulators. They use LWH and LWX Series of linear position sensors to monitor the positions of various cylinders in their platforms. Selection between the two is based on whether or not a particular platform needs sealed components for outdoor use. 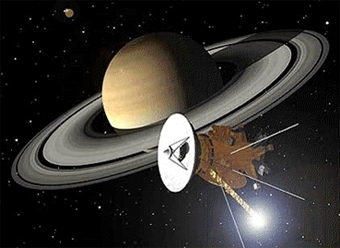 When the Cassini-Huygens mission to Saturn lifted off at the beginning of October 1997, a conductive plastic potentiometer from Novotechnik was on board. When the space ship reached Saturn, the sub-probe "Huygens" was released over the moon Titan. This probe will submerge into Titan's atmosphere and will take extensive measurements. Function: A rotary potentiometer controls the postion of a turntable used for navigation. 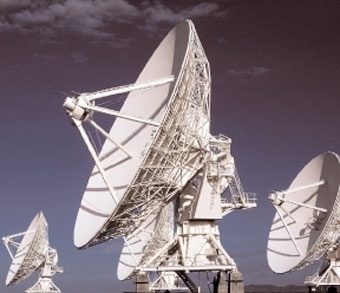 In applications like the satellite antennas pictured here, the Vert-X 13 has proved a more reliable choice over optical encoders. These non-contact sensors will not exhibit erratic performance or failure from high vibration or exposure to dust, dirt or high humidity. 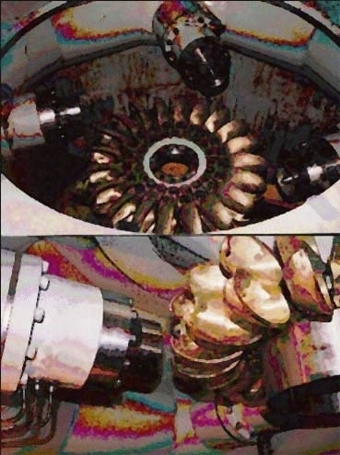 Small, mini and micro-power plants need constant monitoring of the injector, focusing the water jet onto the turbine. This Pelton turbine has 4 injectors, one TIM 050 is inside each injector. The TIM linear movement is a function of the water jet focal point which is constantly monitored by the turbine«s, generator control system. The microprocessor controlled pitch regulation ensures continuous and optimal adjustment of the angles of the blades in relation to the prevailing wind. The pitch mechanism is fitted in the blade hub and contains a separate hydraulic pitch cylinder for each blade. 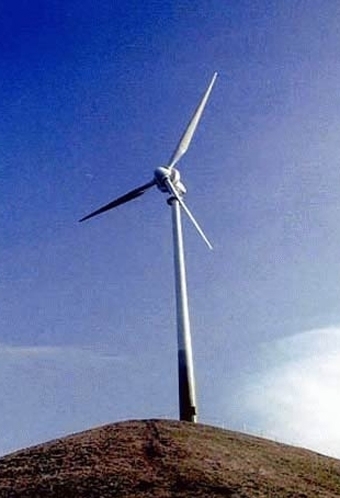 These separate cylinders also ensure triple braking safety, because one feathered blade is sufficient to stop the turbine. 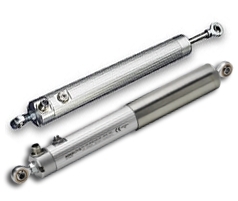 The adjustment procedure takes place every second.The position of the cylinder rod is being monitored by a linear non contacting absolute sensor which is integrated in the hydraulic cylinder. 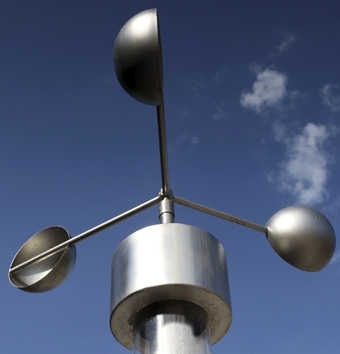 An anemometer manufacturer needed a lower shaft-torque potentiometer to improve accuracy while maintaining cost and reliability levels. A P4500 Series potentiometer met all the requirements. Every year when there is a typhoon, heavy rain or earthquake occurrence in Taiwan, these have brought different levels of disaster to the country. One of the major civil engineering firms is working with Novotechnik's IH5003 inclinometer that is employed in a warning system. 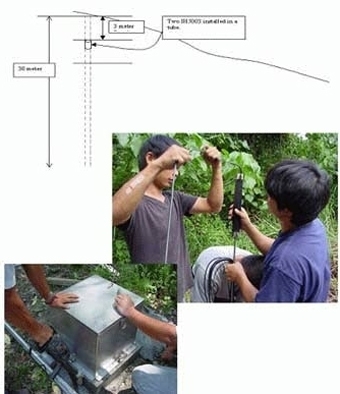 Two IH5003 inclinometers in a tube were installed at every three meters, one is used to measure the X-axis movement and the other is used to measure Y-axis movement. All together, 20 inclinometers were put on and laid down in soil at a depth of 30 meters.